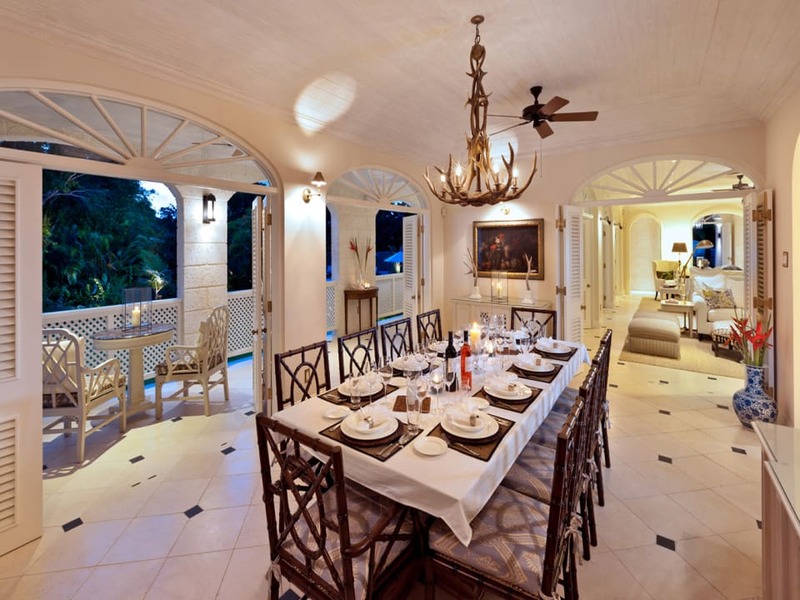 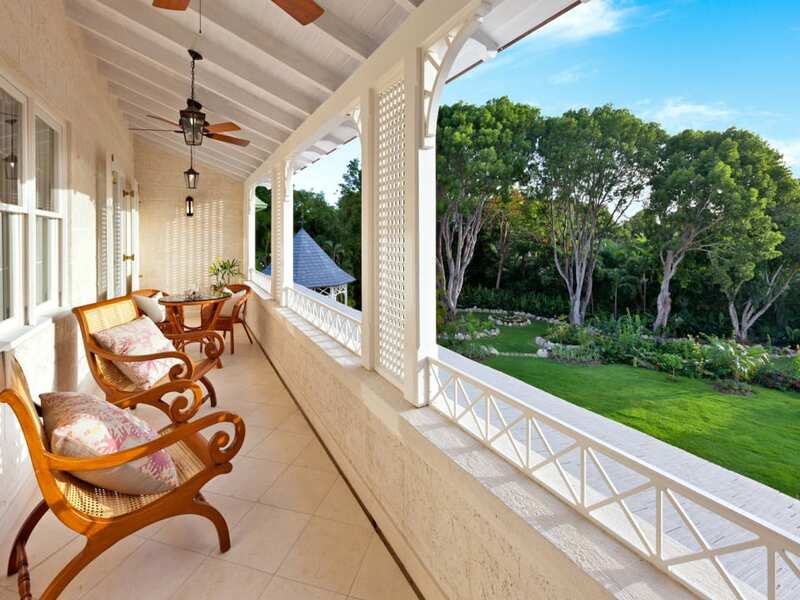 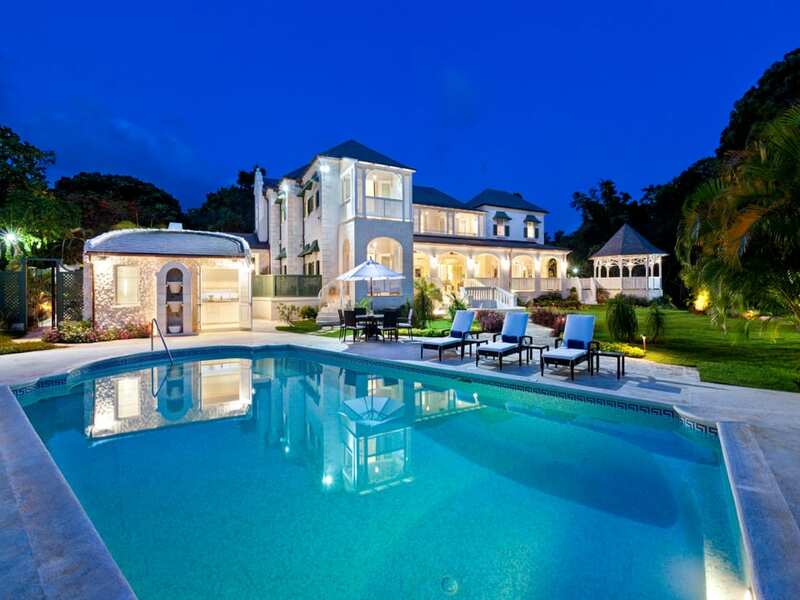 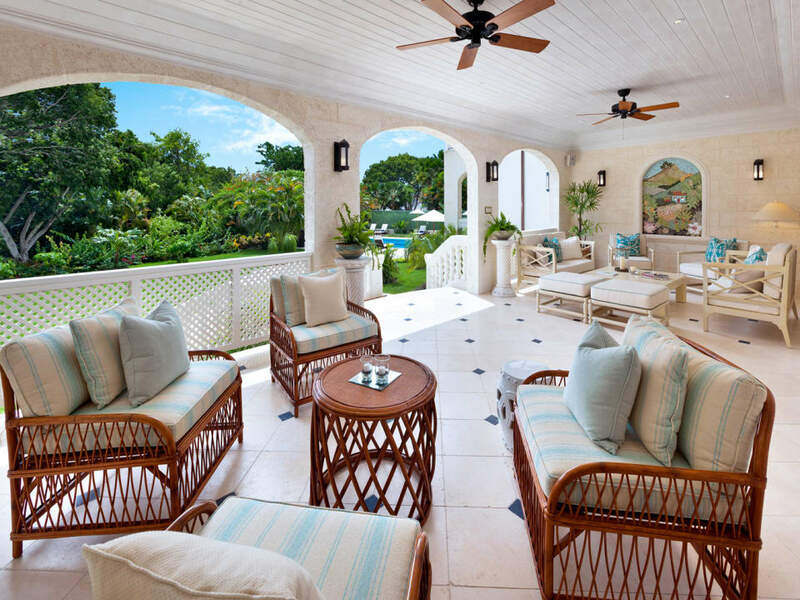 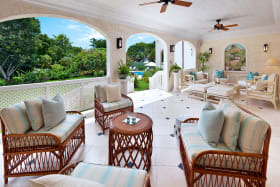 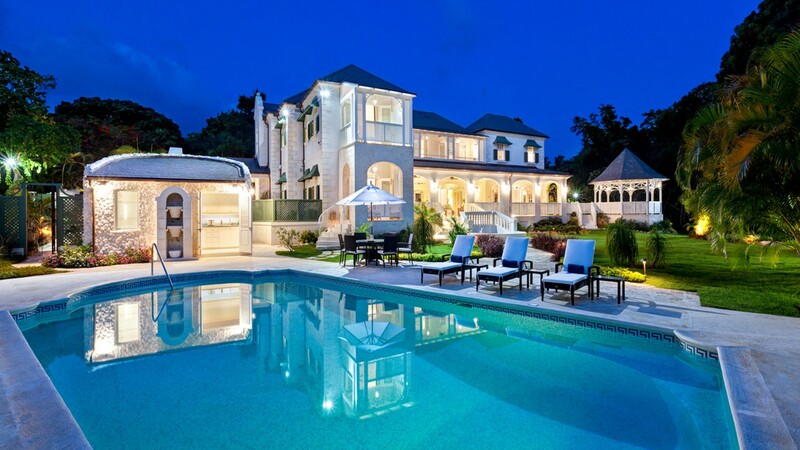 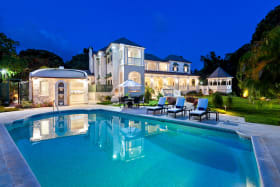 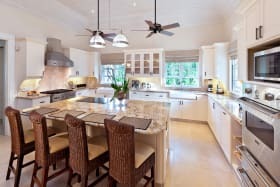 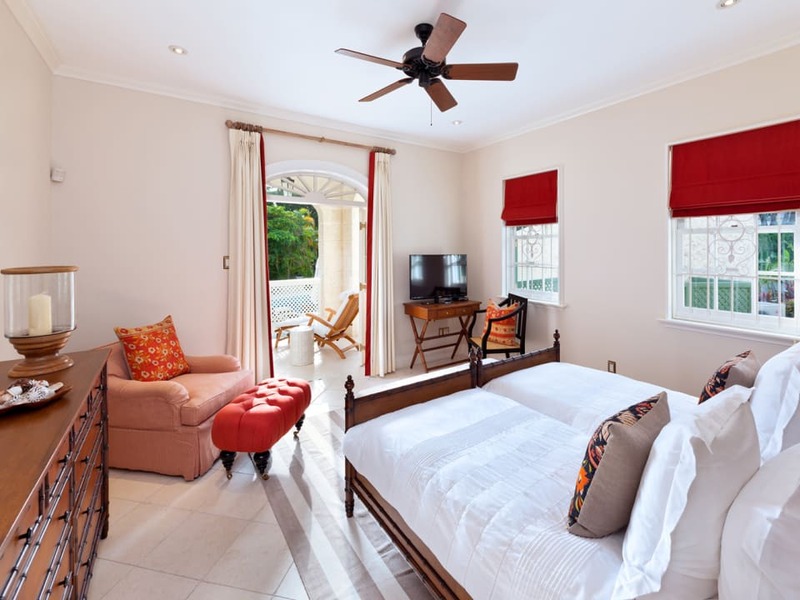 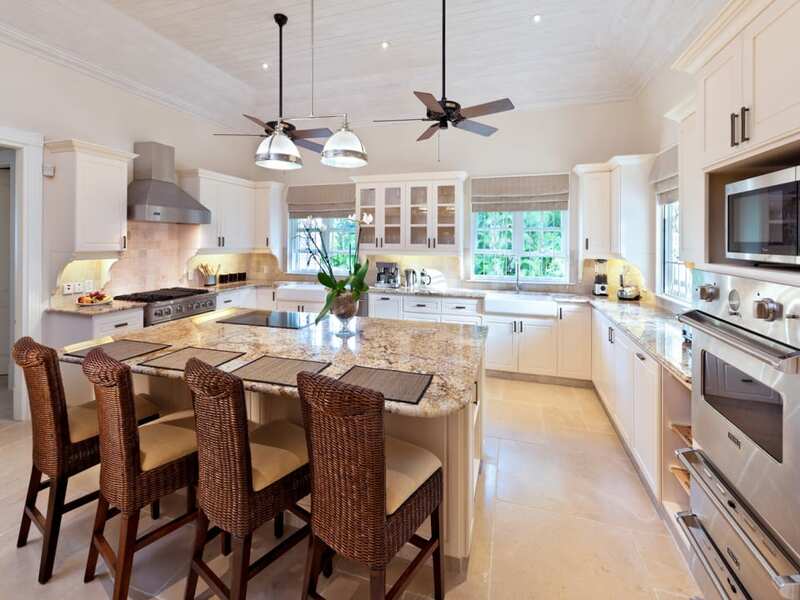 Windward is a luxurious two-storey Villa on Cooper Hill in Sandy Lane Estate featuring 5 bedrooms suites and 5.5 bathrooms with a swimming pool. 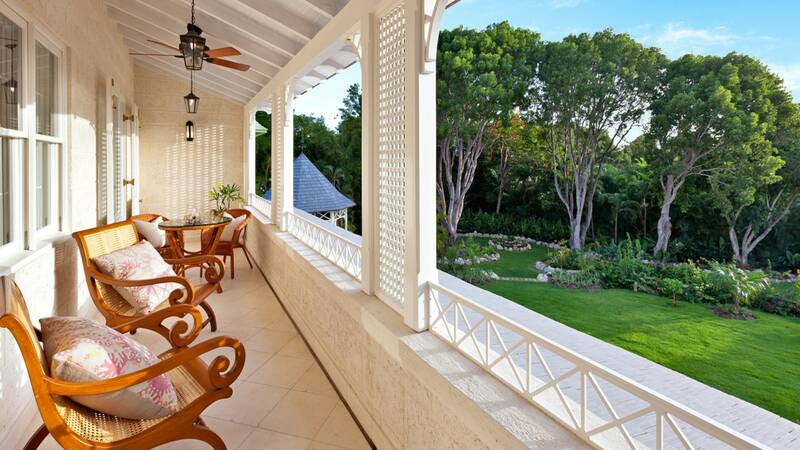 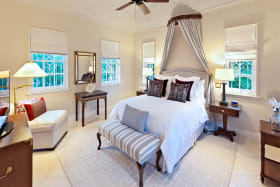 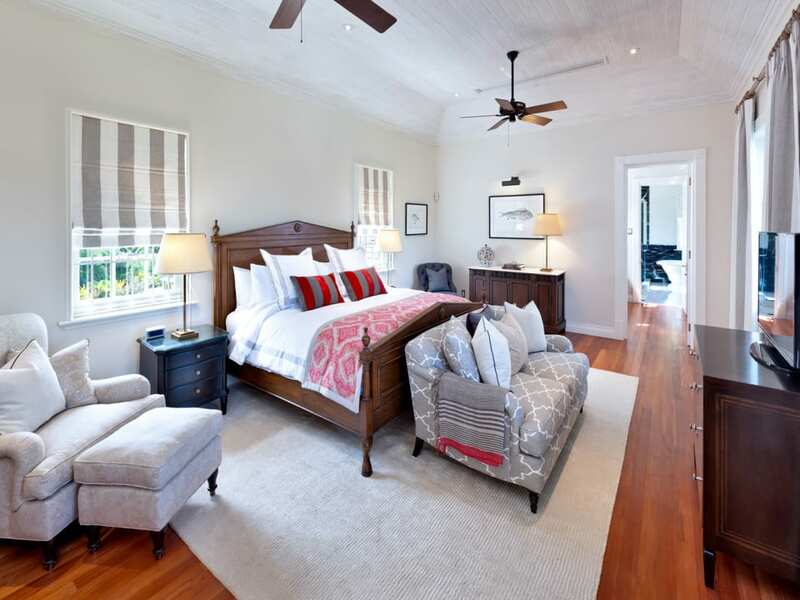 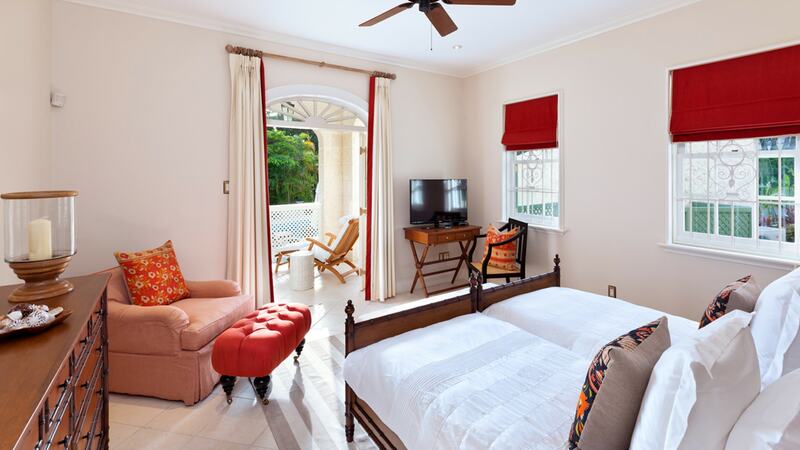 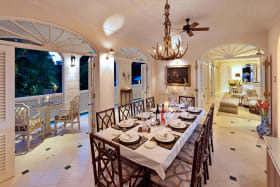 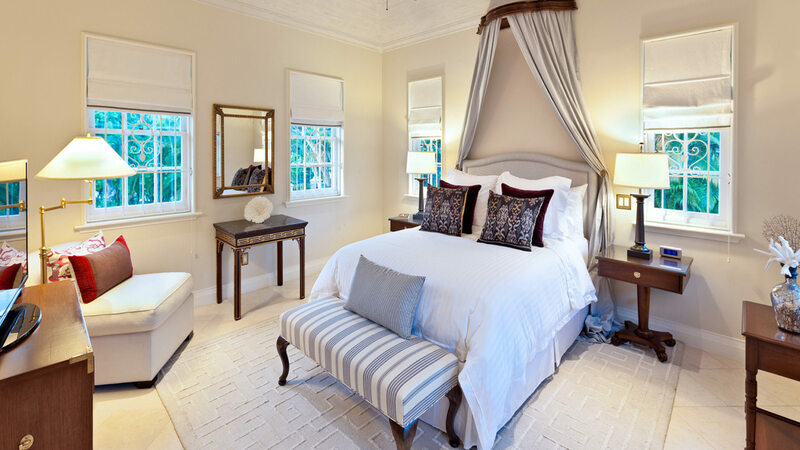 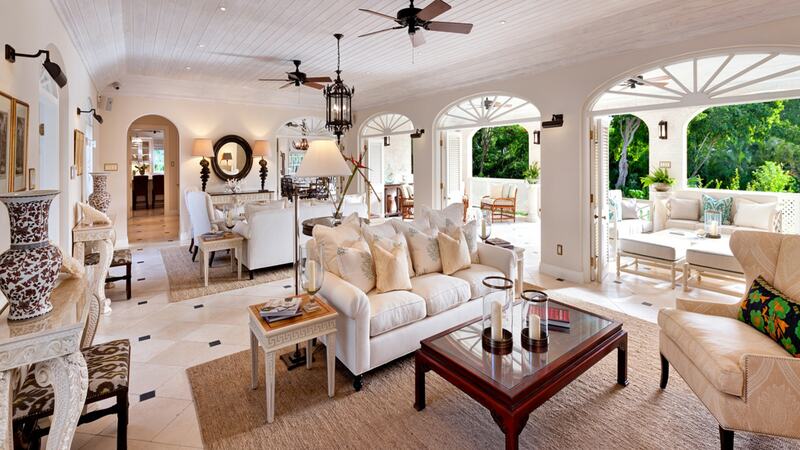 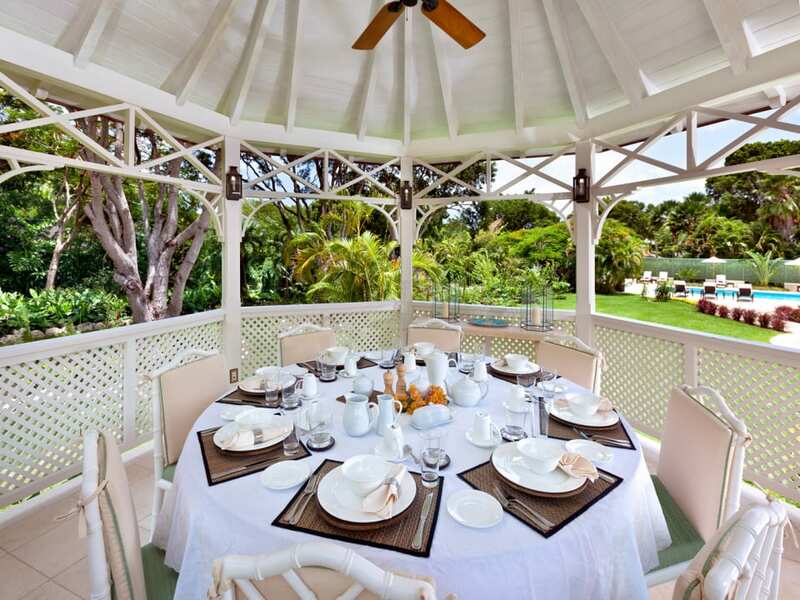 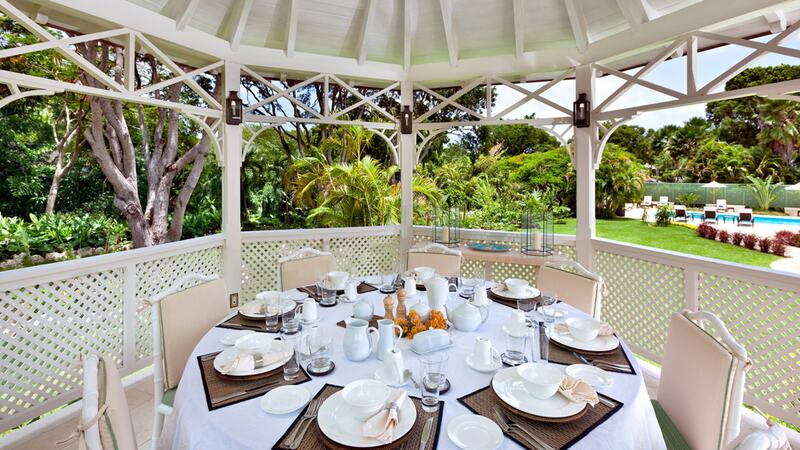 The villa sits on over 1.5 acres of carefully landscaped grounds. 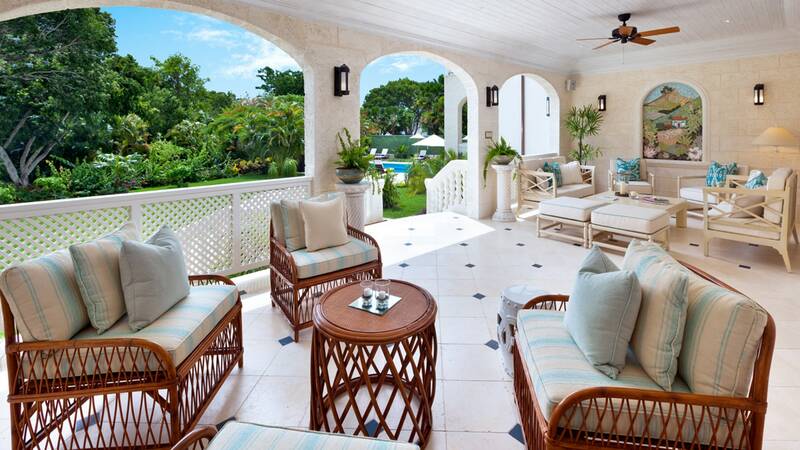 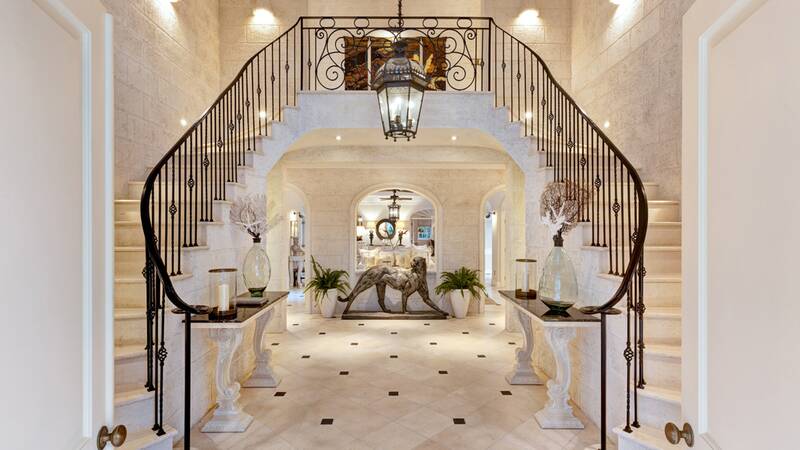 The property is private, fully enclosed and gated, with a main front foyer and a side entrance via the courtyard. 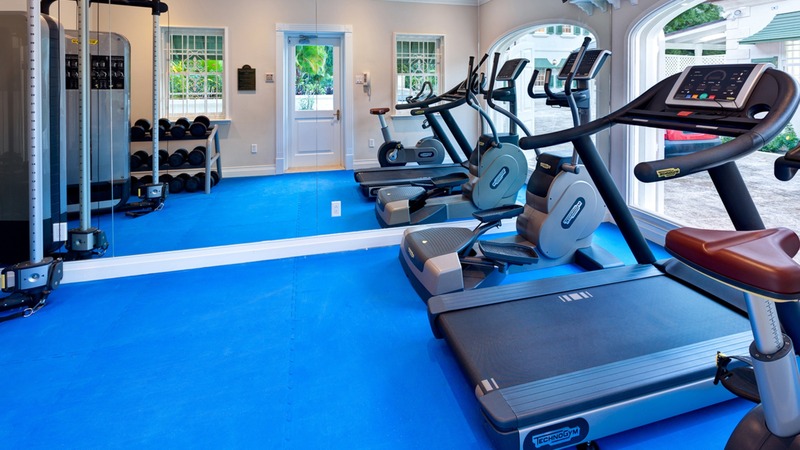 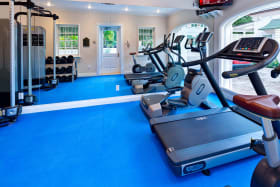 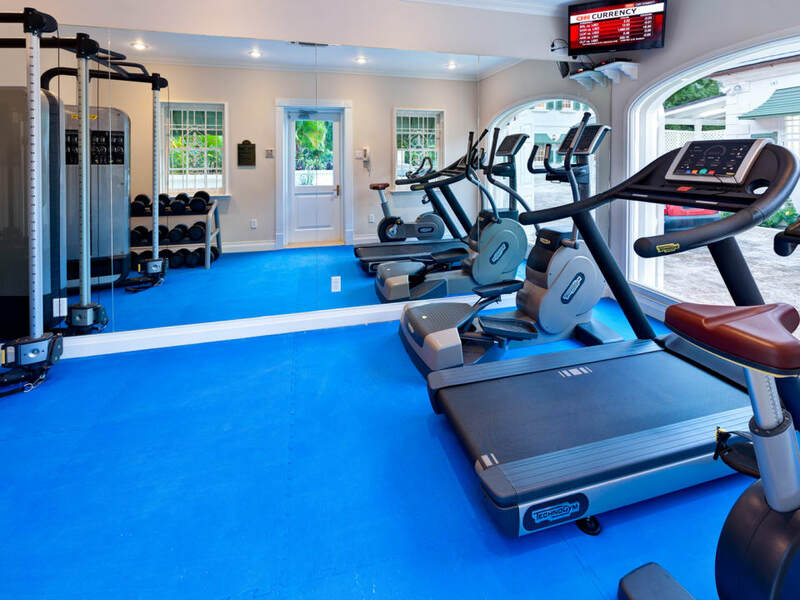 Within the grounds there is a separate building housing a fully equipped gym, garage and storeroom. 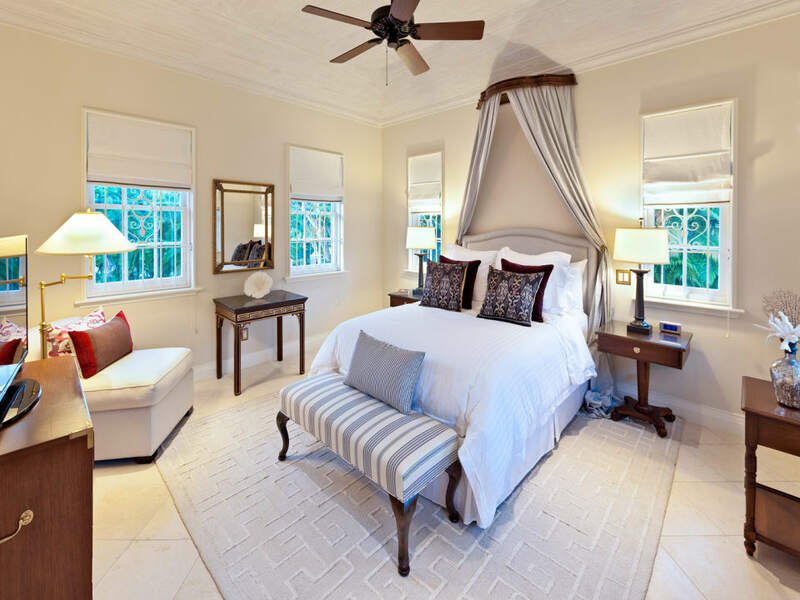 On entering Windward through the main entrance foyer, a beautiful designed double staircase finished with a wrought iron railing leads upstairs to the stunning master suite, study and two additional bedrooms. 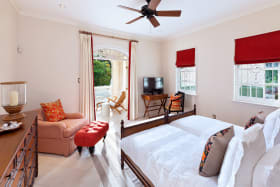 All bedroom suites are air conditioned with ceiling fans, safes and cable TV. 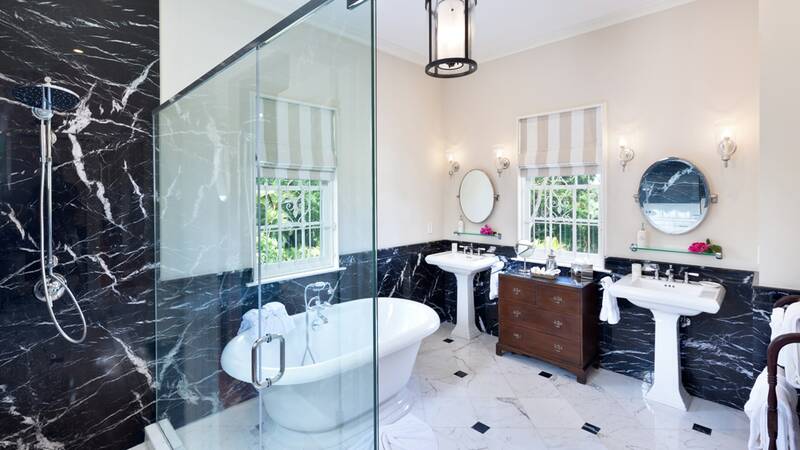 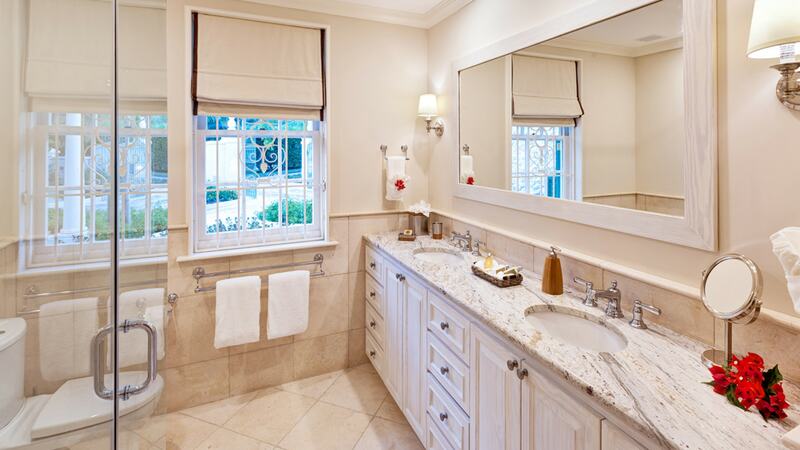 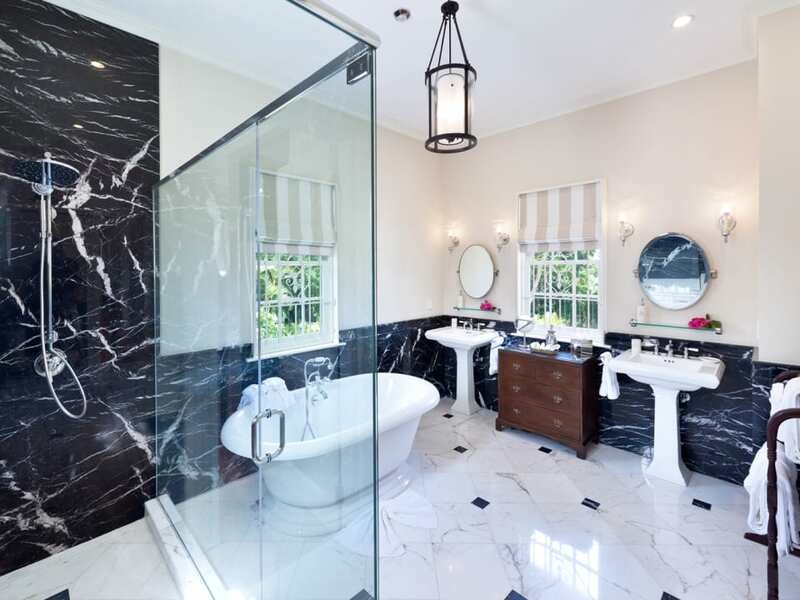 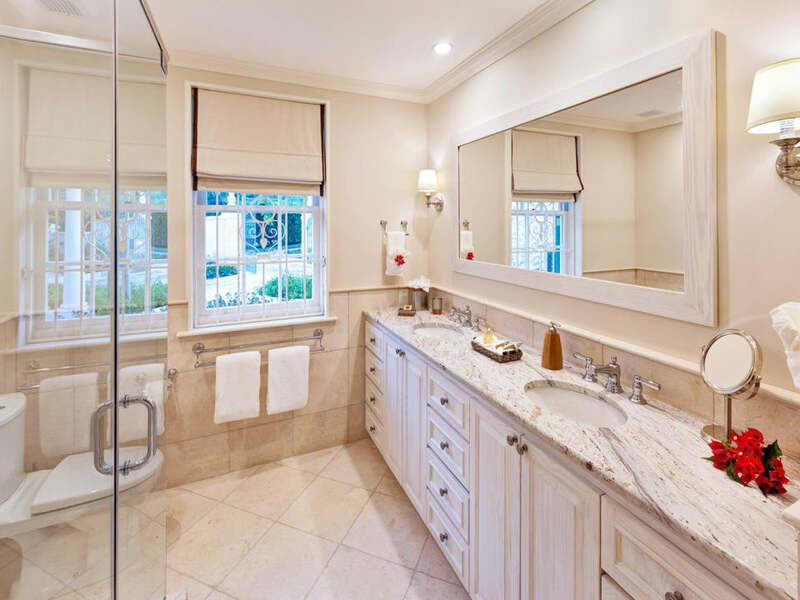 The en suite bathrooms feature marble finishes, double vanities and rain showers, with the exception of the master which includes a tub, large rain shower. 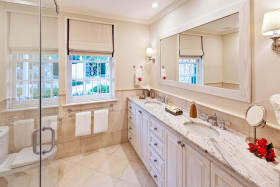 There is also a powder room by the main foyer. 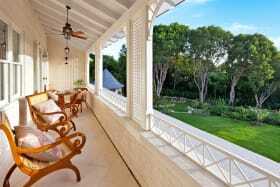 The main living area is open plan, with French doors extending the length of the room which, when open to the spacious covered verandah, creating an expansive space for combined indoor/outdoor entertaining. 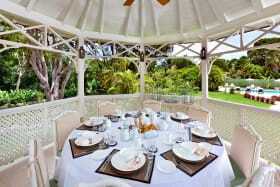 Steps from the main verandah lead out to the garden and pool. 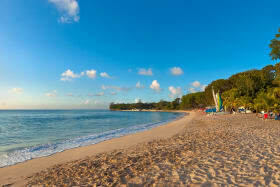 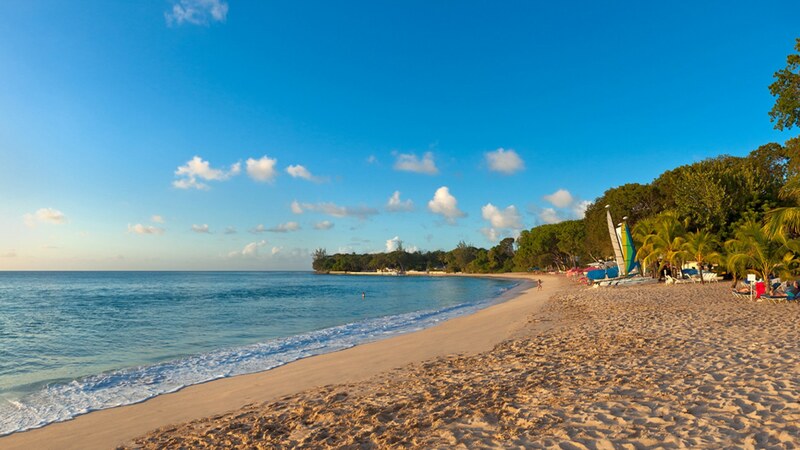 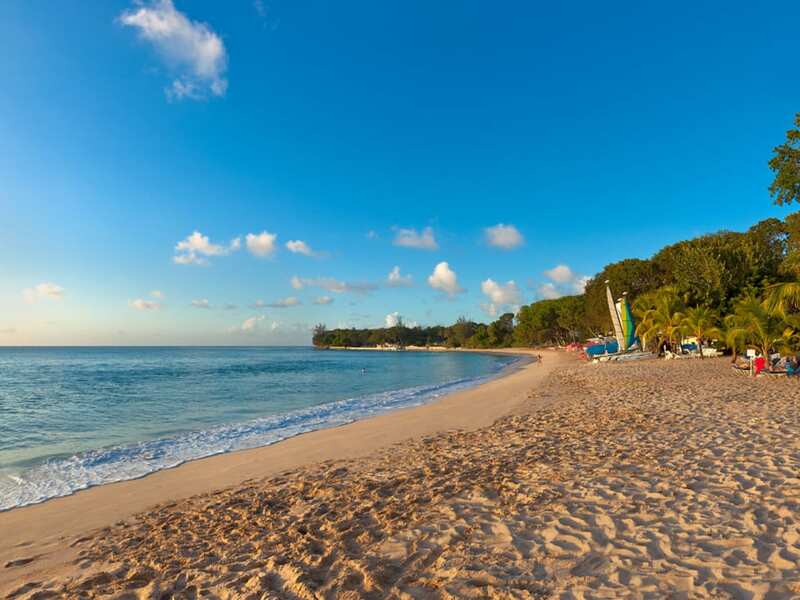 Windward comes complete with a private cabana at the Sandy Lane Beach facility alongside Sandy Lane Hotel. 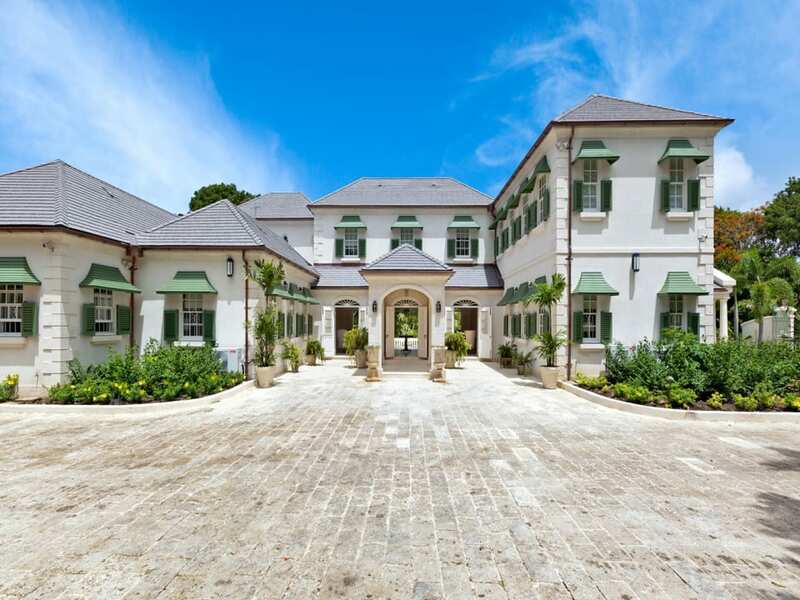 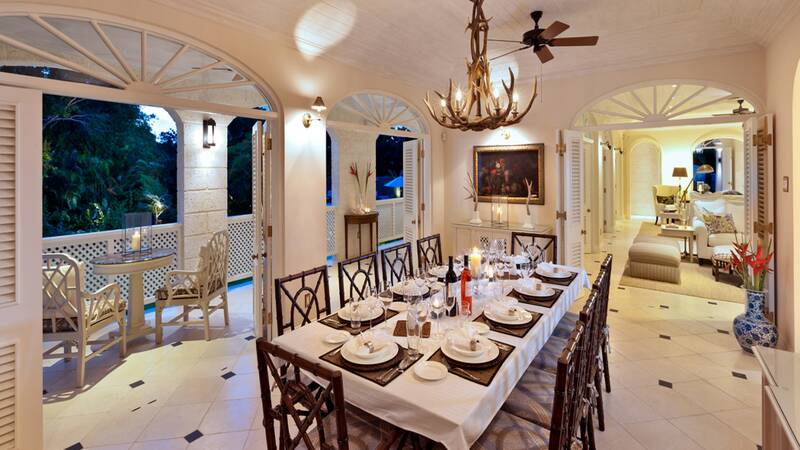 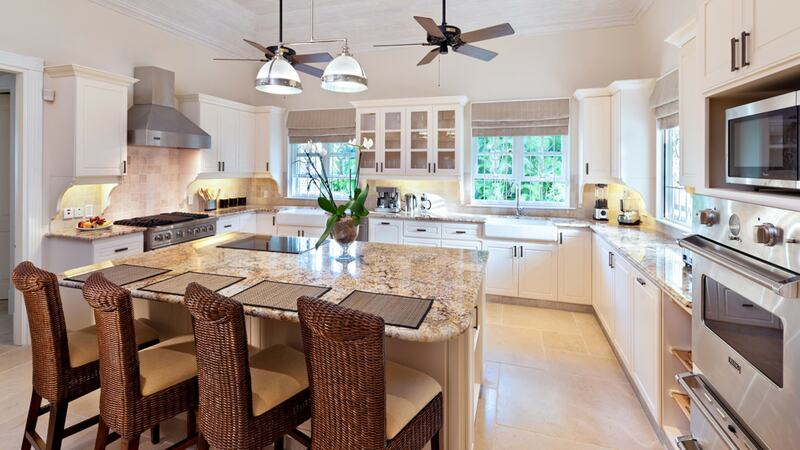 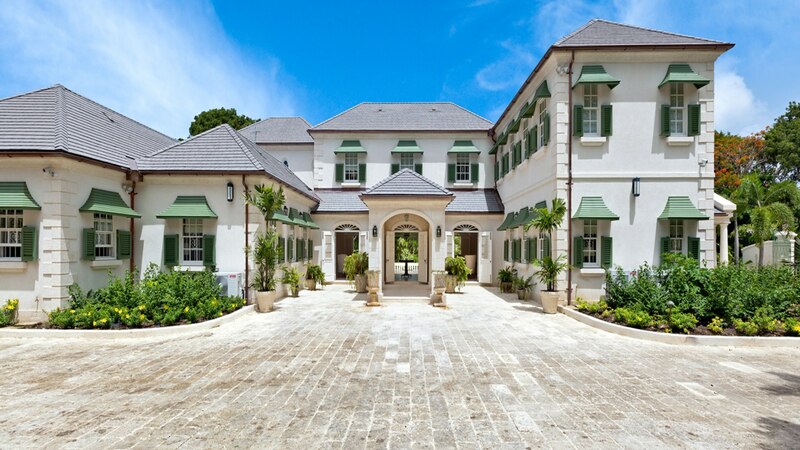 Restaurants and amenities of Holetown and Limegrove Lifestyle Centre are a short drive away.